I would find it impossible to make do without the avocado. Versatile, nutritious and tasty could be it’s epitaph – fast food another. Few plant based whole foods taste so perfect without little or no intervention. Bananas do spring to mind yet they don’t have that exotic, luxurious and creamy deliciousness that the savory avocado do. I use them in smoothies, spread on toast, eaten au natural (or drizzled with olive oil) scooped out with a spoon, in salads, mashed into baby food, in face masks and of course in the epic Guacamole. 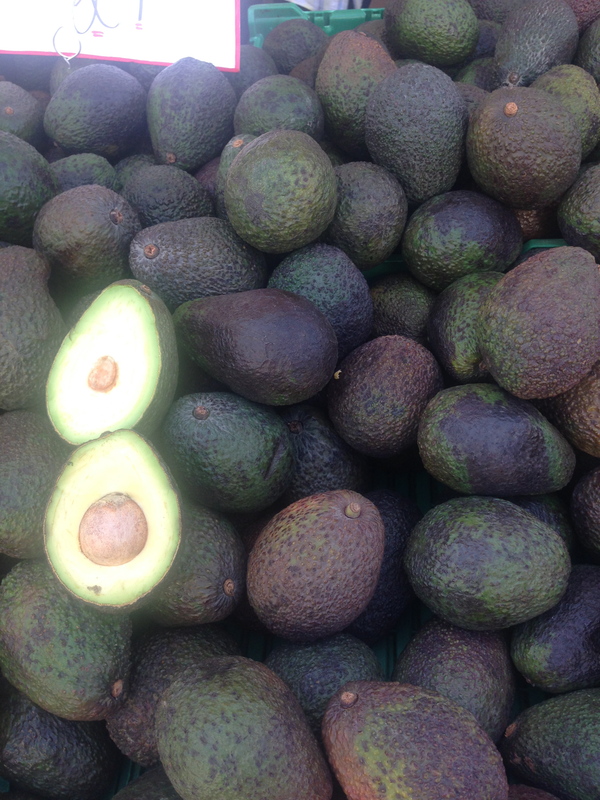 Shunned in the past for it’s ‘fat’ content, here are 10 updated top facts* extolling the virtues of the avocado. Stock up now and start to glow! 1 – Great for keeping skin supple due to omega 3 fatty acids and oleic acid. 2 – Can aid in weight loss (good fat does not make you fat). 3 – Copper and iron aide stress reduction and relaxation. 4 – Folic acid promotes reproductive health. 5 – Lowers ‘bad’ cholestrol, increase the ‘good’. 6 – Protein rich – promotes strength and endurance. 7 – Lecithin improves brain function. 8 – Vitamin E, powerful anti oxidant, neutralises harmful effects of toxins in body. 9 – Omega 6 fatty acids and oleic acid aids in soothing inflammation. 10 – Linoleic acid help to improve blood sugar balance. * ‘Natural Wonderfoods‘, by Bartimeus, Haigh, Merson, Owen and Wright.